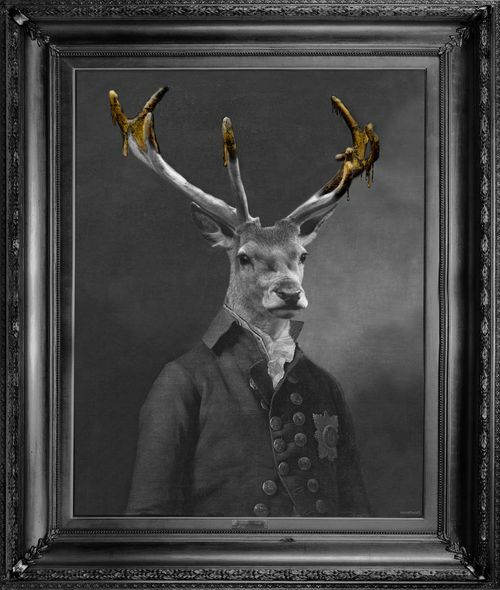 ‘Brother Stanwick’ gets a new look - black and white vintage feel reminiscent of old photographs with a gold paint dripping from his prominent antlers. Real wooden frames also available on request. Please enquire.